We are getting closer and closer to kickoff! As preseason lies ahead, we watch some interesting positional battles for certain teams and how they will delegate snaps among starters and back-ups. We find ourselves at the conclusion of this year’s WR rankings. The players ranked at the top, more than likely, won’t see too much playing time in the preseason. The first ten guys on this list are players who I would feel absolutely confident in taking as my No. 1 WR. The players from 11 on, are players who should be a stable source of production, if you went a different direction in your first round or two. If you find yourself at the back-end of drafting position this year, do not be afraid to swipe up two of the first ten guys listed here, you won’t be let down. There are plenty of platoon-type running backs, or guys who are under-the-radar that you can draft in the third through fifth rounds, and feel comfortable with them as your starting RB. It’s a passing league, go for the monsters at the top, and worry about RB later. 1. Antonio Brown, Pittsburgh Steelers- What can Brown do for you? How about a little bit of everything, and then some. Hell, if he was not a jack of all trades already, even threw a touchdown pass last year to add on to his already astronomical numbers he was accumulating. Let’s take a look at his absurd stat line from last season in which he saw 181 targets, and finished with 129/1,698/13. Now, when you’re considering players with first-round caliber talent, you look for high-upside, coinciding with consistency. Brown coming into this season, is on a historical streak of catching at least five passes for 50 yards in 33 straight games. If that is not a prime model of consistency, than what is? If that was not enough proof of why he should be the No. 1 WR off the board, then add in the fact that he is expected to return punts again this season. In 2013, he had 409 punt-return yards, and last year he had 319 yards, he ran one back to the house in both seasons. If you are in a league that rewards points for punt-return yardage, that is just another reason to take him over any of these other receivers listed below. In a PPR league, you could make a solid argument to take him first overall, over the top running backs like Peterson or Charles. In a standard league, maybe one of those bell-cow RB is a safer pick, but Brown can still garner some consideration. If Brown sees anything like 181 targets again, he’s a sure lock to put up parallel numbers as he did last year, locking him in as the No. 1 WR heading into the 2015 season. 2. Demaryius Thomas, Denver Broncos- If you thought 181 targets for Antonio Brown was ridiculous, check out Demaryius and his 184 targets. That amount of targets led Thomas to finish with a stat line of 111/1,619/11. He started off the 2014 season slow, during the first three games, he did not eclipse 100 yards. After the Broncos’ Week 4 bye, Thomas went off to the tune of 8/226/2 against the Cardinals. He followed up that monstrous performance with six more consecutive weeks over triple-digit yardage. He led the NFL in red-zone targets for WR, with a total of 39. Getting closer to the endzone, Demaryius still led all WR w ith 18 targets inside the ten, and 11 targets inside the five. Thomas has also been the model of consistency over the last three seasons, playing all 16 games annually, while averaging a terrific stat-line of 99/1494/11.6 touchdowns. The new coaching staff, led by Gary Kubiak, has had a past of relying heavily on the run in all of his stops. The Broncos’ are expected to run the ball more this year with C.J Anderson leading the way. Yet, this is still Peyton Manning’s team. Their defense will be average this year, inducing more closely-contested games. Peyton will want to take over in second half of games when they are close, or even trailing. Remember, no more Julius Thomas or Wes Welker in Denver. Although, this will allow players like Cody Latimer, Owen Daniels, and Virgil Green to step-up, Peyton will still heavily target his favorite WR in Thomas. Demaryius is one of the most consistent, and safest WR you can draft, as we have seen his durability over the years. Manning is one year older, but he is still Peyton Manning, he will find a way to feed Thomas the football. 3. Dez Bryant, Dallas Cowboys- $70 million later, Jerry Jones finally put his money where his mouth is, in signing the Pro-Bowl, franchise WR. Bryant is coming off another double-digit touchdown season, where he finished with a league-leading, and career best 16 touchdowns. He has never broke triple-digit receptions, but he has shown he does not need the volume of receptions to produce fantastic numbers. We know the elite prowess of the Dallas offensive lines, and the effectiveness of their running game last season. Although, you can not just take a Pro-Bowl talent in DeMarco Murray out of the picture, and insert the likes of Joseph Randle and Darren McFadden and expect the same production. In turn, projecting the running game to be a little less effective heading into this season, Romo may be forced to throw the ball more. Dez only saw 136 targets last year, which ranked him 12th at the WR position, he still finished 4th overall at the position. Projecting that Dallas will see a tiny uptick in pass attempts this year, means more targets for Dez in 2015. Expect his touchdown number (16) to regress. While a increase in targets, receptions, and yardage could be in store for Bryant this season. 4. Julio Jones, Atlanta Falcons- This is where the rankings become a little bit murky. Julio has potentially the most upside for any WR this season. If only he could stay healthy, which is a big IF, as he has only played all 16 games once in his four-year career. In 2014, Jones played 15 games, and finished with a season stat-line of 104/1,593/6. Matty Ice targeted Julio 163 times, which was third best in 2014. The Falcons also have a new offensive coordinator in Kyle Shannahan. Former Falcons OC Dirk Koetter aligned Julio almost strictly on the left side of the formation at X receiver, the X receiver position in new OC Kyle Shanahan typically moves around a ton in an effort to create favorable matchups. It’s a position manned by Andre Johnson and Pierre Garcon on Shanahan’s past teams. Without question, Julio will be a target vacuum this year. If Julio can increase his touchdowns to double-digits, and play in all 16 games, there is no reason he couldn’t finish No.1 or No.2 at the position. The aforementioned Garcon and Johnson both led the NFL in receptions under Shannahan, hopefully these consistent targets will lead him to the endzone more in 2015. 5. Calvin Johnson, Detroit Lions- Calvin was often nagged by injuries in the 2014 season, but he still went over 1,000 yards for his fifth consecutive season. He finished with a stat-line of 71/1,077/8, which you could say is a down season for Megatron compared to his past seasons. Since his rookie season in 2007, Calvin has never gone two consecutive years without catching double-digit touchdowns. With Johnson 100 percent healthy coming into the season, and the Lions’ offense as a whole having another year playing in Joe Lombardi’s system, Johnson is still primed to put up WR1 type numbers. The defense will definitely take a step-back with the loss of Suh and others. This means, the Lions will not be playing as many close games as they did last year, and Stafford will be asked to throw the ball more often early in games. This is the farthest we have seen Megatron fall in terms of WR in the fantasy realm, and that’s due to his injury concern, not his talent. So, if Calvin were to stay healthy for every game this year, there should be no reason he couldn’t crack top three WR, or even battle for that number one spot we’ve seen him stand in the past. 6. Odell Beckham Jr., New York Giants- The man who took the league by storm in his rookie campaign in 2014. Everyone remembers the one-handed catch in the end-zone on Sunday Night Football, which was probably one of the most amazing catches you’ll ever see at any level of football. He missed the first four games due to a hamstring injury and still finished with an insane stat-line of 91/1,305/12. There is cause for concern as Beckham has been plagued this offseason with nagging hamstring problems, and is on a ‘pitch-count’ during camp thus far. T hese soft-tissue injuries are detrimental to a players playing time, as they seem to linger unless a player gets to heal completely from them. Now, I am not saying that he is on the same path as “100,000 Miles on my hamstring Austin,” yet, it’s definitely something to keep an eye on. If all goes well with Beckham’s hamstring and he is fully healthy come Week 1, expect him to still be Manning’s No. 1 target, even with Cruz coming back in to the fold. The forgotten man, Rueben Randle was actually the 17th WR in terms of targets last year, and Eli is not afraid to look his way. With the return of Cruz, the addition of Shane Vereen (a great pass-catching back), and Randle still getting looks, I would not be surprised if Beckham puts up a similar stat-line to his 2014 numbers over the course of 16 games. I would not take him over any of the other proven commodities mentioned above, taking a slow approach to see if Beckham was just a ‘flash in the pan’. 7. Jordy Nelson, Green Bay Packers- I could make this a one-phrase summary by saying, he catches balls from Aaron Rodgers. That’s all well and good, but Nelson is coming back from offseason hip surgery. He is also coming off his best season as an NFL WR posting a stat-line of 98/1,519/13. “Jordy’s so consistent. Looks like he hasn’t missed a beat,” Packers’ Head Coach Mike McCarthy. We know Aaron Rodgers is not the type of quarterback to latch on to one target and force-feed them the ball. Even though, Rodgers has been hyping up Davante Adams all offseason, his go-to-guys are Nelson and Cobb. Even if Adams were to take a step forward this year and have a more prominent role, I still envision Nelson to see around the same number of targets (151), as he did last year. Nelson is one of the safest players you can nab in the tier-1 of WR, but he has limited upside with Cobb effectively being 1B in the offense. If Nelson can catch double-digit touchdowns like he did last year, he will definitely pay off his second-round price tag. 8. A.J Green, Cincinnati Bengals- A.J. Green led the NFL in yards per route run(YPRR) last season. Demaryius Thomas, Odell Beckham, Julio Jones and Jordy Nelson rounded out the top-5 in YPRR. Due to toe, bicep and concussion issues, Green missed three 2014 games and was limited in several others. He still went over 1,000 yards for the fourth time in his four-year career and scored six touchdowns. Green is now healthy and entering a contract-year. The erratic play of Andy Dalton, and the emphasis of the run-game may scare people away from drafting Green as a No. 1 WR. Nevertheless, Green is one of the few players in the league that can make a big play from anywhere on the field. The return of TE Tyler Eifert, and WR Marvin Jones may actually be advantageous to Green, even if they were to take away targets. The defenses will not be able to roll coverage his way as often as they did last year with those weapons returning to the field. Take advantage of your counterparts letting Green slip through the cracks, and sleep like a baby grabbing him in the second-round. A fully-healthy Green has the talent alone to finish top-five among his position, so do not be afraid to pull the trigger. Jeffery is coming off back-to-back 1,000 yard season, where last year he put up a line of 85/1,133/10. The Bears’ drafted another big-bodied explosive WR in Kevin White, but he may not be ready come the start of the season. This opens up playing time for players like newcomer Eddie Royal, and Marquess Wilson, but really just means more targets to come Jeffery’s way. Also, Marc Trestman is no longer in-charge, which means Forte will not catch a ridiculous 102 balls, and the WR position will garner more looks. With the Bears lacking any defensive prowess or the ability to stop anybody, the Bears’ will be forced to pass the ball a ton, and the main beneficiary being Jeffery. With what we have seen in the past with Adam Gase and his No. 1 WR, I can see Jeffery breaking the triple-digit reception plateau for his first time. Do not expect numbers like Demaryius Thomas put up in the system, but you can expect something close. 10. Randall Cobb, Green Bay Packers- This is where tier one for WR ends for me. At this point, grabbing Cobb or anybody above him in the list, bares comfortably in having a true No. 1 stud-type WR to bolster my squad. I believe you need to have one of these guys, even two if things fall right during your draft. Cobb rounds-out this tier for the same reason Jordy was listed above, Aaron Rodgers. Cobb saw 127 targets in 2014, and turned that into 91/1,287/12. For being a smaller WR, Cobb really has a knack for finding the endzone, and Rodgers obviously trusts him enough to look his way. Not to be redundant, but Rodgers talking up Adams this offseason does not do anything to Cobb’s value. He is Rodgers WR 1B behind Jordy, but as we have seen in the past, they both can put up big games in the same week, and overall have huge seasons simultaneously. 11. Mike Evans, Tampa Bay Buccaneers- Another rookie who took the league by storm, in the anomaly of breakout rookie wide-outs from last season. In a year he played with sub-par QB play, Evans still mustered a line of 68/1,051/12. He put up some monster games like he did Week 11 against Washington going 7/209/2. Although, he was consistently finding the endzone, he only had 5 weeks where he caught 5 or more passes. Hopefully, drafting QB Jameis Winston will bring some stability to the passing game. Winston will be throwing to a forest of weapons, with the trees of 6-foot-5 or taller Mike Evans, Vincent Jackson, and breakout candidate TE Austin-Seferian Jenkins. It remains to be seen if Winston distributes the ball well among these weapons, or latches on to one WR like rookie QB tend to do. Don’t expect Evans to improve on his touchdown numbers, whereas, all of his other numbers are perceivable to take a jump. If you decide to go RB/RB your first two picks, Evans is a prime target to start your WR core, while holding immense upside. 12. T.Y Hilton, Indianapolis Colts- Here we have another WR in Hilton who benefits from catching the football from an elite talent in Andrew Luck. The Colts’ had the number one passing attack in 2014 and H ilton was a big part of that. The Colts’ attempted 661 passes for a total of 4,894 yards and league-leading 42 touchdowns. Hilton was a big proponent of these numbers as he finished with 131 targets, and a line of 82/1345/7. Even though the Colts’ drafted a mere clone of Hilton, in Phillip Dorsett, they seem serious about locking him up for the future. Although, the Colts’ did bring in Andre Johnson, Hilton has elite playmaking ability, and will only improve alongside Andrew Luck. Some may think Hilton is being over-valued with the reinforcements brought into Indy, yet, you want to draft as many shares of elite offenses like the Colts’. The Colts also brought in a stable running back in Frank Gore, which will help open up the back-end of defenses for Luck and his WR. You can feel somewhat secure having Hilton as a No. 1 WR, but I would feel a lot more confident if he were my No. 2. 13. DeAndre Hopkins, Houston Texans- Hopkins sat out OTAs after February surgery to repair a torn ligament in his wrist. He posted 76/1,210/6 last year with Ryan Fitzpatrick, Case Keenum and Ryan Mallett at quarterback. Now Andre Johnson is gone, opening up even more targets for Hopkins. “I’m in a role where I should catch more balls. I’m going to demand the ball and make them think I’m the guy,” says Hopkins. Again in 2015, the Texans’ may have a revolving door at QB with Brian Hoyer and Ryan Mallett. This could ultimately be the cap on what potentially be a true breakout season for Hopkins’ becoming a No. 1 WR. Even with sub-par QB play, Hopkins’ should see a plethora of targets, especially if the focal point of their offense with Arian Foster, missing significant time with this new groin injury. Sheer-volume alone should help DeAndre end up as a low end No. 1 WR come season end. Unfortunately, the questions at the QB position really limit his upside as a high-end No. 1 WR. 14. Emmanuel Sanders, Denver Broncos- What a steal of value on draft day last year as Sanders capped off a career year finishing with a 101/1,404/9 line. He saw 141 targets from Peyton last year, and with the departure of Julius Thomas and Wes Welker potentially could open up more looks for Sanders. The Broncos’ ne w coaching staff has informed Sanders that he will play more out of the slot in three-wide sets this year. Adversely, this may affect Sanders’ yards per target, but he does have experience playing this role dating back to his Pittsburgh days. Kubiak’s Broncos are expected to rely more on the run, and the head coach will also likely get the tight ends more involved in the passing game. Sanders has already said that he expects to receive fewer targets, so we as fantasy owners should acknowledge and draft accordingly. He is another player you could feel safe as a No. 1 WR, if you drafted RB/RB or RB/Gronk. He is better suited to be a high-end No. 2 for your rosters this season, with the offensive adjustments the Broncos’ will make. 15. Brandin Cooks, New Orleans Saints- With the departure of Jimmy Graham and Kenny Stills, this opens up a massive opportunity for second-year WR Brandin Cooks. The New Orleans Times-Picayune confirms there’s “little doubt” Brandin Cooks will be the top target in the Saints’ passing game. Cooks, who was fully healthy all offseason, watched Jimmy Graham and Kenny Stills get traded away. Beyond lumbering Marques Colston and satellite back C.J. Spiller, Drew Brees is going to struggle to find reliable targets. Cooks, who was on-pace to catch 85 balls as a rookie last year when he got injured, is a candidate for 100 receptions this time around. In ten games last season, he finished with a line of 53/550/3 on 69 targets. If he breaks the 100 reception plateau, and improving upon his touchdown numbers, he can easily finish as a top-10 WR. He is not the prototypical red-zone target, standing at 5-foot-10, but has the ability to break big-plays. Hopefully, these big plays help him approach double-digit touchdowns. If this were to happen, he could become an absolute steal come draft day, sitting at an ADP of 35. 16. Kelvin Benjamin, Carolina Panthers- Here we sit, with yet another rookie who took the league over in his first season. The big-bodied Benjamin, who was considered to be a project WR coming out of Florida State, showed he had enough raw talent to put up some terrific numbers. He finished his rookie campaign with a stat-line of 73/1,008/9. He suffered injuries to both hamstrings this offseason, but appears to be back at 100 percent. The coaching staff does not seem worried about these injuries or the minor weight he added. The Panthers’ drafted WR Devin Funchess, who is another big-bodied WR for Cam to target. Benjamin is still the number one lock at WR for this offense, and will look to improve on his rookie numbers. Benjamin is a very safe WR 2 heading into 2015, and would be very happy to pair him with one of those top-ten studs listed above. 17. Jordan Matthews, Philadelphia Eagles- Here we go again. Writing this over and over seems redundantly monotonous, but yet another rookie WR who made a huge impact in 2014. Even with Maclin being the main target last year, Matthews still finished with a 67/872/8 line on 103 targets. Philadelphia Daily News columnist David Murphy observed that Matthews has used his hands and jump-ball skills to make highlight-reel catches on a daily basis throughout the first week-plus of training camp. Following a solid rookie season, Matthews spent the offseason training in Arizona to refine his craft, and he has quickly developed a clear chemistry with Bradford working out of the slot. With the mass amount of plays Chip Kelly and the Eagles plan to run, this is another offense you want to grab shares of, and with Matthews poised to be the No. 1 guy, he is a great pick. With an ADP of 38, like Benjamin he is a top-end No. 2 WR that I would love to pair with a stud. 18. Andre Johnson, Indianapolis Colts- Relocating to Indy, where he looks relinquish his No. 1 WR status. This is very possible, as we’ve pondered before, about the elite arm-talent he is now playing with in Andrew Luck. A reliable possession receiver in the 2012 version of Reggie Wayne mold, Johnson is a great bet for 90-plus catches in this voluminous pass-attack. He may not have the upside that Hilton has in this offense, but Luck will look to Johnson in key situations to move the chains. Head Coach Chuck Pagano says that one always know where the other is when on the field and that Luck is always on the right spot. The massive quarterback upgrade puts Johnson on the fantasy map. I definitely believe Johnson returns to fantasy relevance, and feel super safe about drafting him as your WR2 with the possibility of WR1 upside. Johnson was never a big touchdown guy, as he has never eclipsed double-digits in that category, but the surplus of looks he will receive will bode well for his end of season stats. 19. Julian Edelman, New England Patriots- The looming four-game suspension of Tom Brady deflates the value of Edelman somewhat (see what I did there?). Edelman, like Johnson, is not a guy who is poised to get double-digit touchdowns. What he will provide you with is a mass quantity of receptions. Last year, he finished with a stat-line of 92/972/4, and the year prior in which he reached the triple-digit reception plateau. We know that Gronk will be the No. 1 target in New England no matter who is playing quarterback. When Brady does return, the chemistry he and Brandon LaFell gained last year may also put a damper on the production of Edelman. Regardless, we’ve seen what Wes Welker has done in this offense, with a prominent WR1 in Randy Moss, and TE like Gronk. So there is room for the slot man to put up some pretty good numbers upon where he is being drafted at his ADP of 56. Again, not a guy I want manning your No. 1 WR on rosters, but a player I’d be more than inclined to run out as my No. 2. Hope you enjoyed my rankings for this upcoming season, and can’t wait to look back upon them to see how accurate they were. Stay tuned as there will plenty more football discussion, and you do not want to miss out. 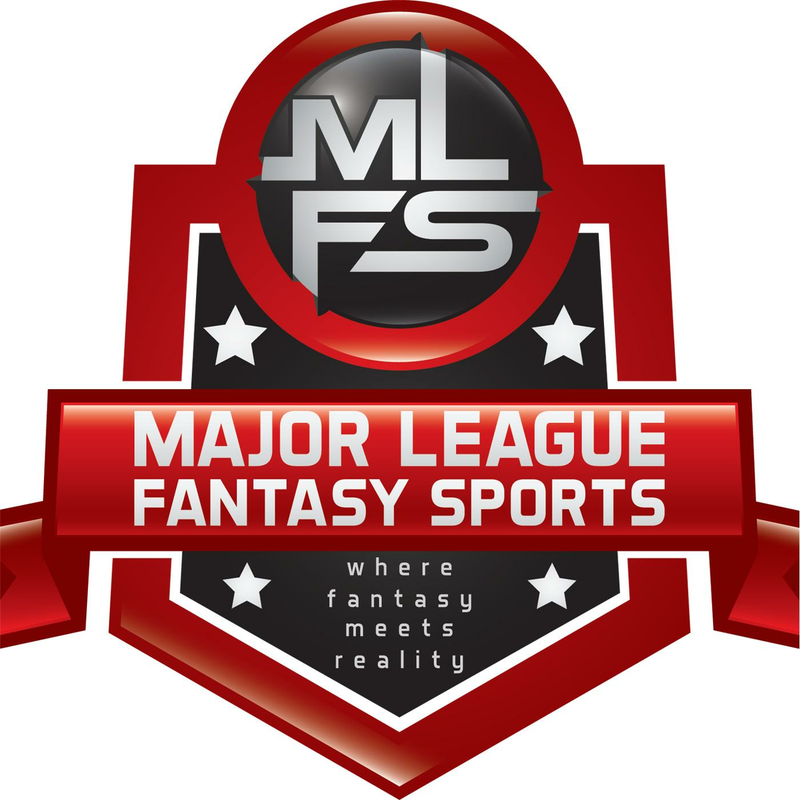 Major League Fantasy Baseball Show: Join Ej Garr and Corey D Roberts on Sunday August 16th from 7-8:30pm EST for this week’s episode of Major League Fantasy Sports Radio sponsored by the Sports Palooza Radio Network. Call in live at 646-915-8596. This week we will be discussing busts, disappointments in fantasy baseball for 2015, and how we can learn from it. Our guest’s this week include Hernan Batista, Joe Ciccone, and Joe Iannone. Hernan is an owner in MLFB2 who has been excellent this year. Joe Ciccone, and Joe Iannone are staple contributors to majorleaguefantasysports.com. Come join a lively discussion.